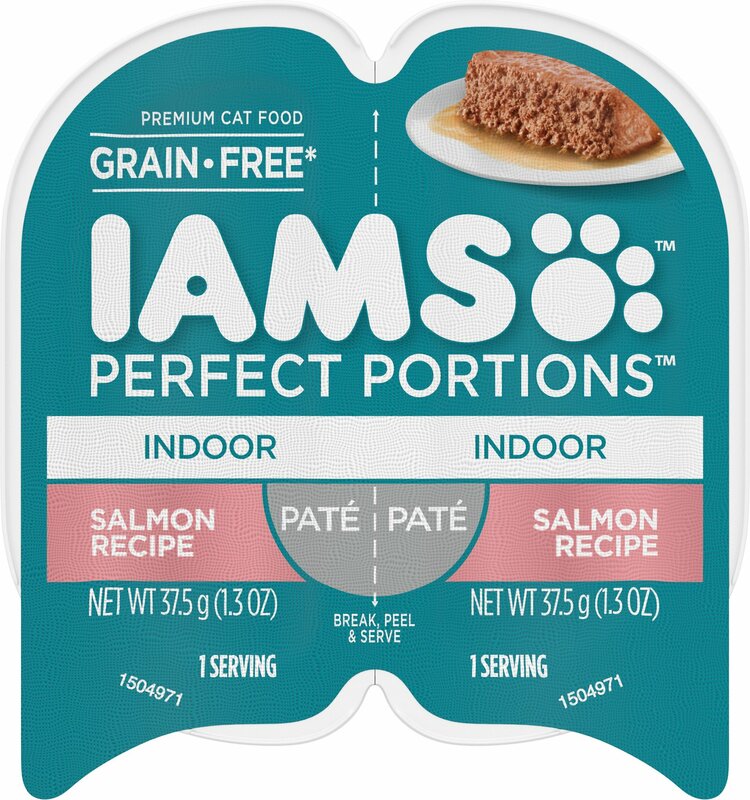 Serving your feline friend the perfect amount of wet food just got a whole lot easier thanks to Iams Perfect Portions Indoor Salmon Recipe Pate Grain-Free Cat Food Trays. This delectable pate-style food comes packed in convenient, easy-to-open tubs that eliminate the mess of leftovers in your refrigerator. 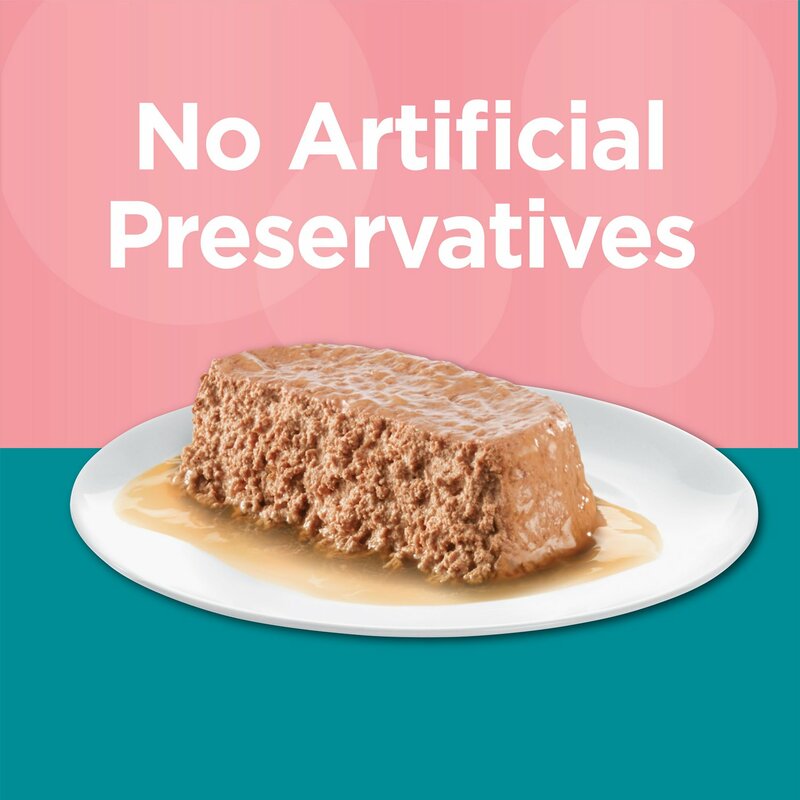 Real salmon and chicken deliver a meaty taste she’s sure to love; it’s also grain free and made with no artificial preservatives. It’s enriched with vitamin E to support her healthy immune system, as well as added dietary fiber and prebiotic for healthy digestion. Formulated to provide complete and balanced nutrition, this food is ideal served as a complete meal or an enticing topper over dry kibble to add variety to her diet. Delectable pate-style food comes packed in convenient, easy-to-open tubs that eliminate the mess of leftovers in your refrigerator. Real salmon and chicken deliver a meaty taste she’s sure to love. 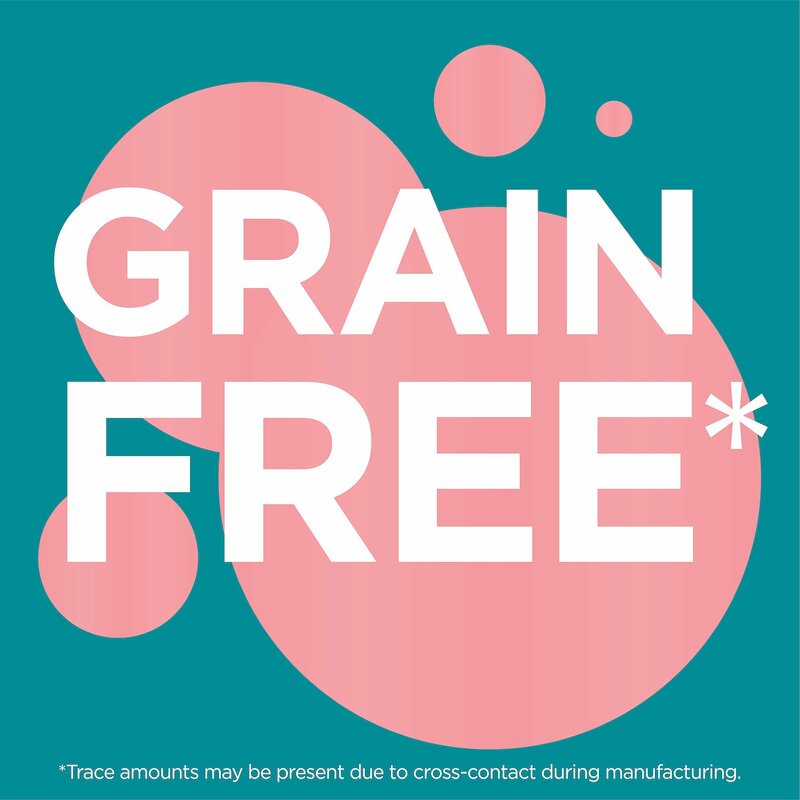 Wholesome grain-free recipe is made with no artificial preservatives; formulated to provide complete and balanced nutrition. Enriched with vitamin E to support her healthy immune system, as well as dietary fiber and prebiotic to aid digestion. Can be served as a complete meal or an enticing topper over dry kibble to add variety to her diet. Feed Adult cats 3 1/3 servings for every 5 lbs of body weight daily. For weight management, feed Adult cats 2 2/3 servings for every 5 lbs of body weight daily. Adjust to maintain ideal body condition. MY VERY FINICKY CAT LIKES IT. SO THAT MEANS IT'S PRETTY YUMMY, BUT AFTER LICKING AWAY ALL THE JELLED GRAVY SHE WILL OFTEN SHOVE THE DISH OFF THE TABLE IN DISMAY. HER FAVORITE USED TO BE IAMS SALMON SOMETHING(NOT PATE- NOT FLAKES EITHER ) THEY STOPPED MAKING IT ABOUT 3 YEARS AGO. ALL OF MY CATS LIKED IT AND IT WAS ALWAYS SOLD OUT IN THE STORES WHICH WAS HOW I FOUND CHEWY. 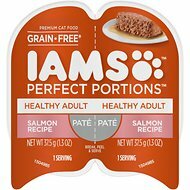 GUESS IAMS HAS A THING ABOUT MAKING A PRODUCT TOO GOOD. AT LEAST THIS COMES IN 1/2 CANS SO WHEN I THROW THE REMAINDER OUT THERE ISN'T AS MUCH FOOD IN HER BOWL. I love this item as much as my cats! For years I have been using a partial can of food for my felines. So, this is great for not having to put the remaining portion in the refrigerator. 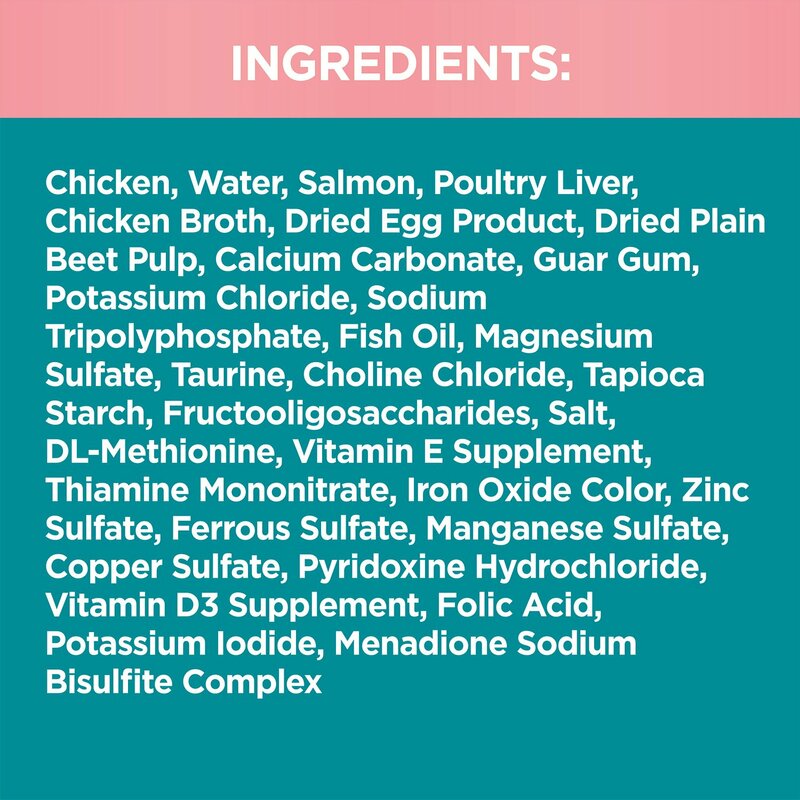 My babies (cats) love the flavor too! Best of all I know its nutritionally good for them since the ingredients are grain-free and made specifically for the indoor felines. This is the only wet food my kitty will eat. I tried several brands. This is the only brand for her. I love that I can peel and dump this into the two separate dishes for my cats. I dont have to decide whether I split the can evenly! We have 4 cats from 6 month old to 11 years old. 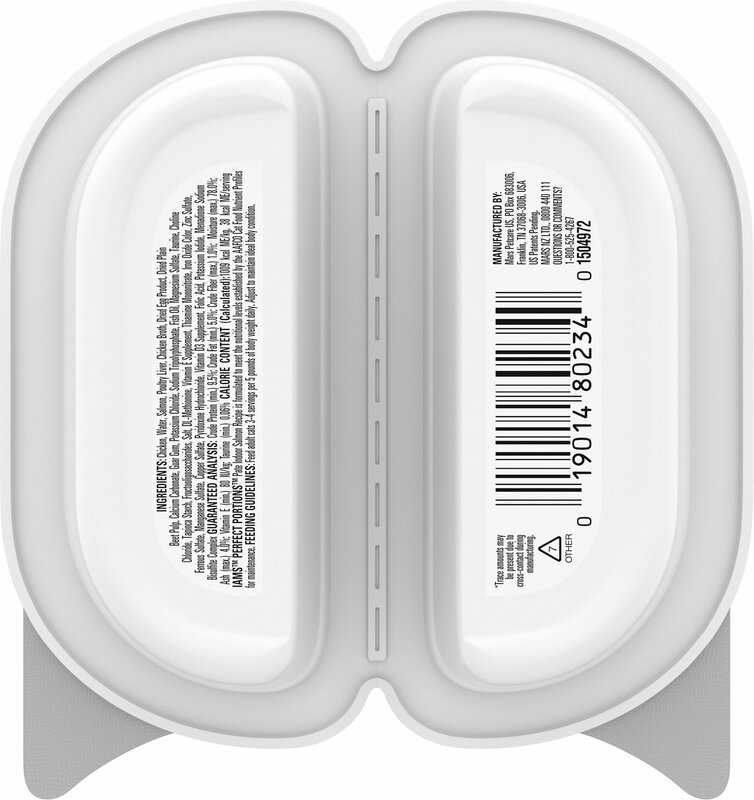 All of them come running when they hear the pack snap into 2 pieces! I have been giving them this for a few months now and they still come running. This cat food is great. My only complaint would be the single serving portion is difficult to open without getting cat food on your hands. Otherwise Jasmin is a happy girl. 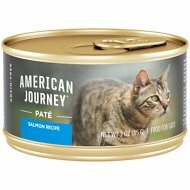 My finicky Himalayan loves this food but I was having trouble finding it in store. So happy to find it on Chewy! 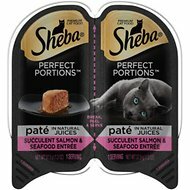 These perforated containers are the perfect serving size for our cats without having to keep any leftovers in the refrigerator. Both of my cats love this flavor. They eat ever bit. Finally found a flavor and texture my fur baby likes as her taste changes with age. Chewy makes it easy to change my auto ship as needed to match her changing needs.